Home - Debbie Butler, P.C. 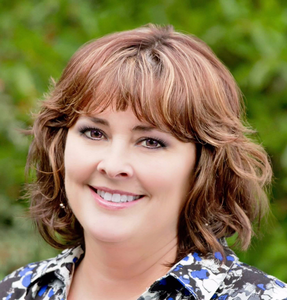 Your Dallas Oregon Realtor Serving the Willamette Valley. Whether you are looking to sell a home, purchase your first home or dream home, I am here to help. I look forward to becoming your long-term real estate professional for you and your family. From my first contact with Debbie Butler, she lead me confidently and professionally through the sale of my home of thirty-two years. I would, and have, recommend Debbie to anyone seeking a great support of the process if buying or selling a home. ~Jo M.
Debbie is a wonderful realtor and person. I have had the chance to know her personally now for a couple years, and when it came time for my parents to find someone with experience and knowledge helping them sell their old and home and find their current one I knew that NO ONE would be a better choice than Debbie. She is patient, calm, understanding, knowledgeable and tough when its time to be tough. She showed nothing but kindness to my parents who are older, and listened to all the concerns as they popped up. I would and will HIGHLY recommend her to all my friends and family looking to buy property in Oregon. ~ Jennifer B.
Debbie took so much time with me and my decision to purchase a home. She got to know me and what my needs were in a home. She listened carefully and always took my calls and responded quickly if she was busy helping others. I never worried about a phone call not being answered or an email or text message being ignored. She was so quick to respond. I considered her being busy meant she is one of the best. AND SHE IS! I will recommend her services to everyone I know who is looking for a home or selling a home. She really cares about who she is helping. She honestly knows what client service means. ~Deanna O.